Concerns have been raised about the repeat fees being paid to the companies operating the Jobpath programme. TAOISEACH LEO VARADKAR has indicated that the JobPath employment activation scheme might not be needed in the future. JobPath is an employment activation service provided to people who have been on the live register for more than 12 months and are trying to secure and sustain full-time paid employment or self-employment. Last month it was revealed that the private companies contracted by the State to run the scheme, are entitled to €3,718 for every jobseeker that gains sustained employment for one year through the JobPath scheme. 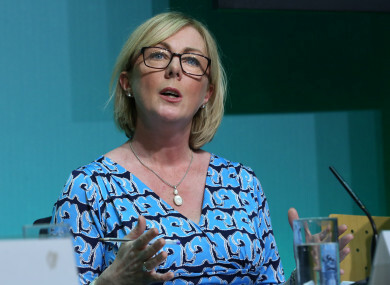 Department officials told the Oireachtas Public Accounts Committee today that the two private companies employed by the State, Turas Nua and Seetec, have received €75.7 million and €73.3 million respectively. The committee was also told that about 190,000 people have gone through the scheme. However, controversy has surrounded the scheme in recent years, with some concerns raised about repeat fees being paid to the companies operating the Jobpath programme. The Taoiseach faced questions this week about whether the scheme was value for money for the taxpayer. Independent TD Thomas Pringle said 39,603 jobseekers were referred to JobPath in the period from July 2015 to June 2016. In those two years, 8,340 people gained employment, a success rate of 25%. Why do we continue to pay a private company which has only served to continue the situation of income insecurity for people who the State must subsidise anyway. The Taoiseach defended the scheme, but said that more people are working now. “We are entering a different phase in our economy where we are heading towards full employment so obviously services such as JobPath may not be needed in the future but that is an assessment that the Minister, Deputy Doherty, will have to make,” he said. Pringle also raised concerns about the experiences of some people in the programme. Reading a letter into the Dáil record, he said the man is ”so intimidated by the service that he wishes to remain anonymous”. It reads: I am a client of People 1st and I have found my time there to be a very difficult one. The advisors put a lot of pressure on me. I feel extremely stressed, and made feel worthless. I try very hard to find employment but I can’t seem to get any work. I find my advisor to be very disrespectful, discouraging and not understanding of my circumstances. Although I have a third level qualification my advisor seems to put across that I am lazy. I have approached the Manager on a few occasions, regarding my complaints however it is not dealt with. Pringle said the letter aptly describes the direct consequences privatisation has on the State services. I encourage anyone who has a complaint to make to make that complaint to the provider and if he or she is not satisfied with the response, he or she can complain to the Department of Employment Affairs and Social Protection, which will investigate it. Email “Taoiseach: 'JobPath may not be needed in the future'”. Feedback on “Taoiseach: 'JobPath may not be needed in the future'”.